One of the disadvantages of living in the middle of nowhere is that the mail never seems to get to you. We live in the campo in a place called Piegallina which is only a little off the beaten track but, as far as the Spanish post service is concerned, we might just as well live on one of the moons of Jupiter. If people are misguided enough to send post to our home address, and this sometimes happens for official documents of various kinds, there is a chance the mail might show up in the post office in Cártama which is about six kilometres down the road. And that´s if you´re lucky. So it was for the purpose of collecting mail that I headed into Cártama yesterday morning. Inside the post office I greeted the lady at the counter and asked her if any mail had come in for Hogan. She looked at me as though I had two heads, perhaps not unexpectedly, since I had travelled all the way from Piegallina and the scorch marks of my landing craft had, in all probability, left an ugly black scar somewhere on the outskirts of the town. 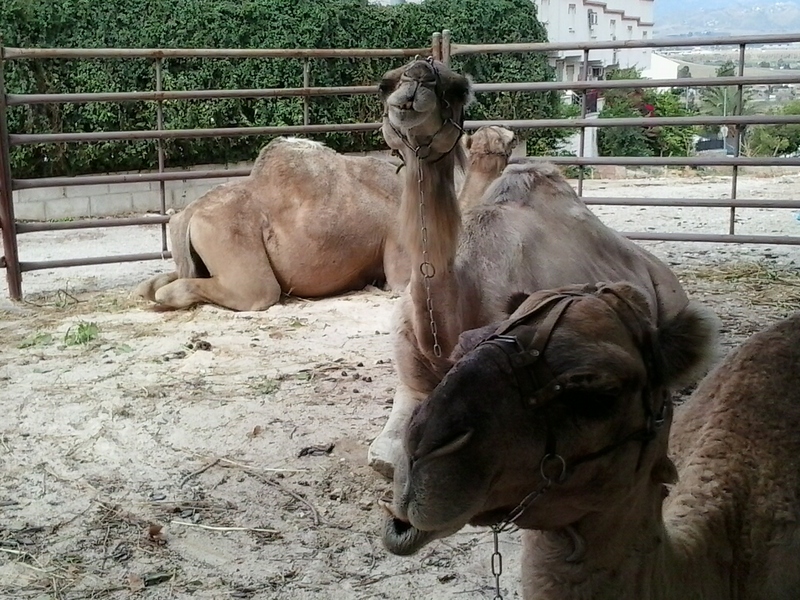 It was after all this post office business that I had an unexpected run in with some camels. This is an unlikely occurrence, even in Cártama. 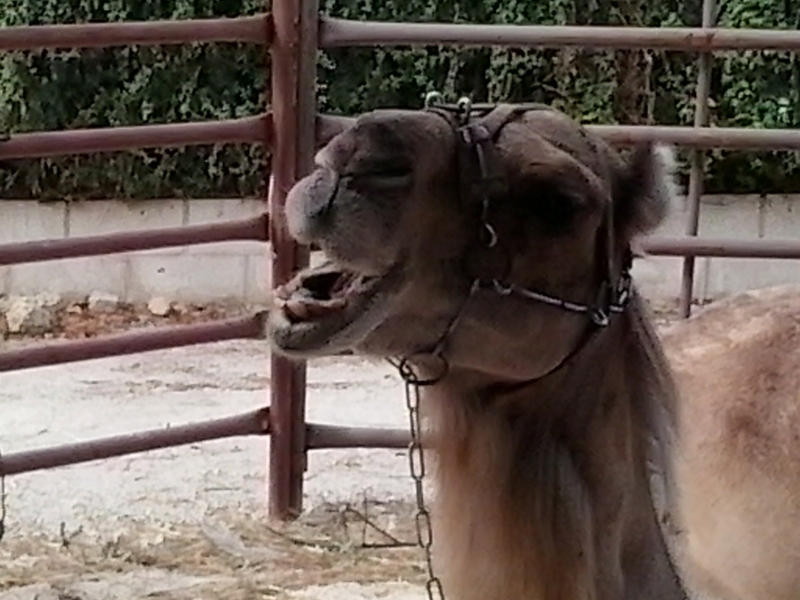 I was just in the process of driving out of a large open space which, when not used as a market place, serves as a kind public car park when I saw three full grown camels in some kind of temporary enclosure. When I parked up and went to take a closer look they treated me with indifference and went on looking at the world, however it may seem to them, with their huge brown eyes. There is nothing as puzzling as camels turning up in unexpected places and I am no closer to explaining what they were doing there now than I was yesterday. There were certainly no signs up for circuses, or anyone in attendance keeping an eye on the things who might be able to throw some light on this mystery. My favourite theory is that they were deposited there by three wise men who might, at that time, been having a coffee or a brandy at a local bar. Or maybe they, too, had appeared to see if any post had turned up. After all, the postal service for the nomadic people of the desert is hardly likely to be any more reliable than it is for us. You think this is far fetched? Remember, this is Cártama we´re talking about.